Chic knit sweater top from Equipment. 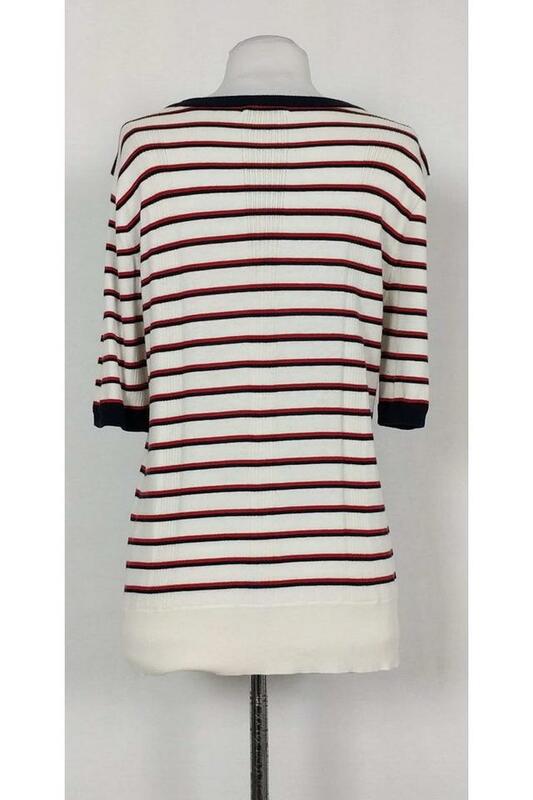 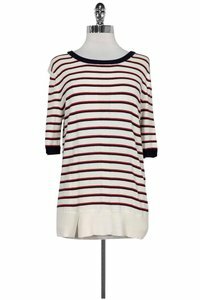 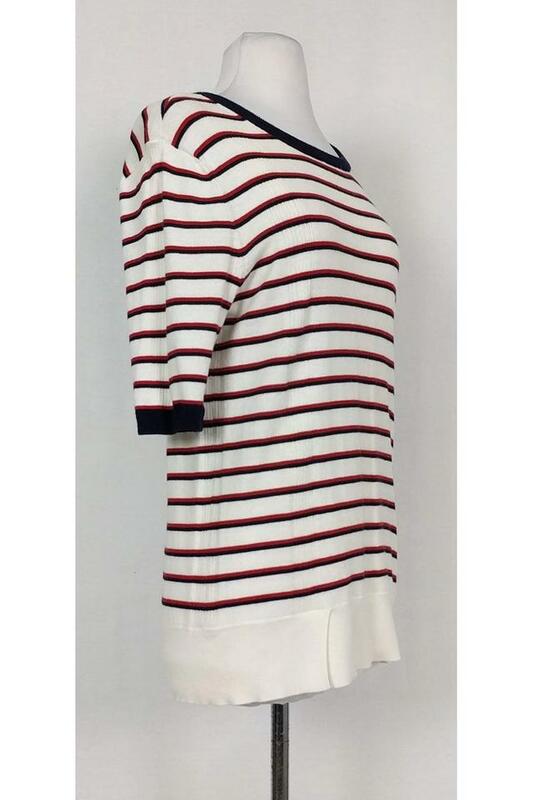 Made in a nautical inspired striped print. 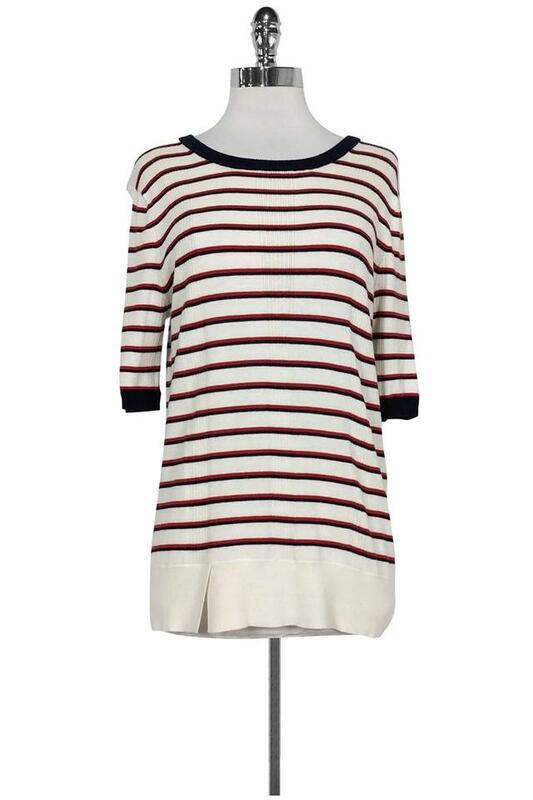 Style it with dark wash jeans and flats.